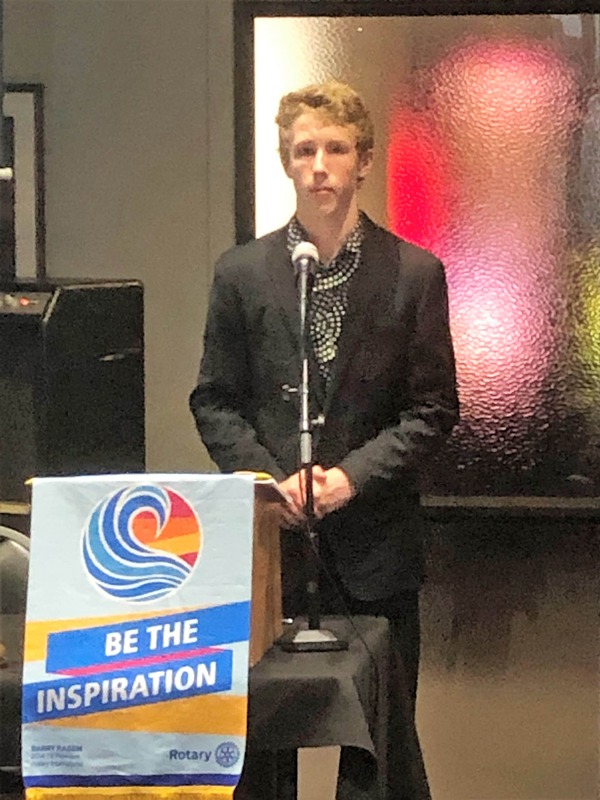 Burnside High School Student Henry Smythe joined us last Monday to inform and give members feedback on his sponsored involvement in the 2019 Rotary Science and Technology Forum that was held in January in Auckland. This is a programme for Outstanding all round science, maths and technology students in Year 12 who will be returning to Year 13 and are planning to study the sciences or technology at tertiary level. The fully residential programme is conducted by Rotary and the Tertiary Institutions of Auckland. The objective being that by the end of the Forum students should have a better understanding of the tertiary courses they wish to follow and a fuller appreciation of the place of science and technology in the wider community. It also provides an opportunity for high achieving students to spend time with similar minded people, and the experiences gained invariably result in overall personal growth and renewed motivation to succeed. Students also had the opportunity to visit a variety of businesses throughout Auckland during their time and also partake in some social and fun activities.